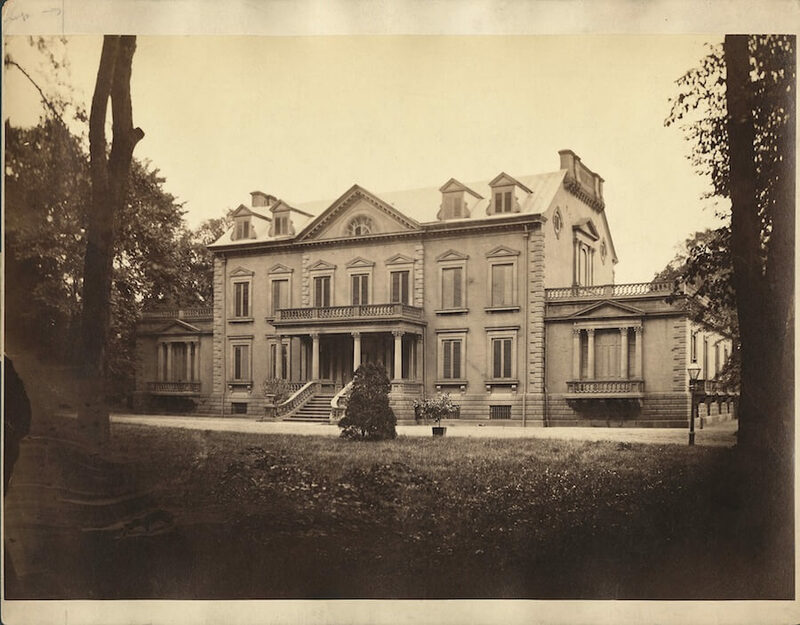 Hartdale, a grand Main Line residence in the premier Gladwyne ZIP code, may be the perfect example of how the Main Line went from farmland dotted with crops and livestock in the 19th century to an epicenter of expansive country houses as getaways for Philadelphia’s wealthy industrialists and entrepreneurs. This Sunday, April 8, 2018, is your opportunity to see for yourself its outstanding mix of old-world architectural detailing, sumptuous formal rooms and comfortable everyday living spaces. Purchased by Selden Twitchell in 1895 and called “Pleasant View Farm” (earlier part of “Inspiration Farm” owned by Joshua Holland from a William Penn land grant, then included in the Llewellyn Tract in “Merryon, in the County of Philadelphia” and then finally part of the Esrey Farm, a 134-acre tract), Hartdale might be considered the house that soda pop built. Selden Twitchell, photo from The American Bottler, Volume 37. The Twitchell family, originally a prominent New England clan, made serious money in carbonated beverages in Philadelphia – the city being the place where the first flavored, carbonated soft drink was created in 1807 by Dr. Philip Syng Physick (as a health tonic, of course. See this for more about Philadelphia’s prominent role in the birth of carbonated beverages.) Selden Twitchell’s father, George Twitchell, manufactured carbonated beverages in Philadelphia between 1844 and 1967. Twitchell Sr. sold the business to several employees, excluding his son. 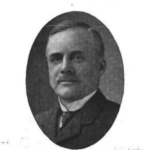 The younger Mr. Twitchell, according to his obituary in a December 1917 edition of The American Bottler (Volume 37), was self-made. After being excluded from the sale of his father’s company, he worked during the day for a wholesale drug house and studied chemistry at a local college and visited prospective customers at night. Mr. Twitchell developed and refined extracts that he knew he could sell to soda manufacturers, eventually expanding his business to sell machinery and supplies to make carbonated beverages. The company was located at 221-225 Vine Street in Philadelphia, now a residential block. As a business owner, Mr. Twitchell was reportedly well liked by his employees and served on quite a few local boards. An ad from an issue of The American Bottler publication. Always looking to develop new and better products, Twitchell held patents, including one for a floating ball stopper to help keep the fizz in the bottle, and traveled the world in search of the newest flavorings and manufacturing techniques. 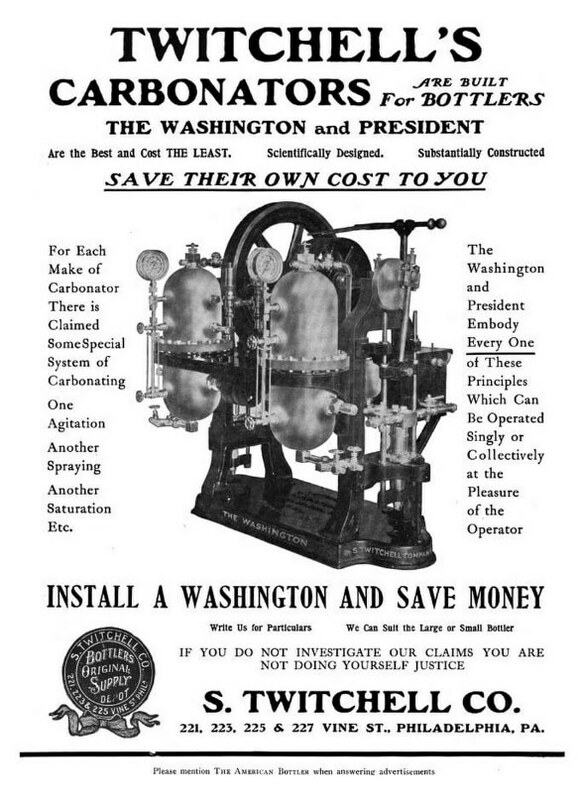 He was the inventor of the “Washington carbonator,” which he sold to bottling works around the U.S. Remember that at this point, drinking fizzy water was considered a healthy habit, and American pharmacists began adding such medicinal flavors as birch bark, sarsaparilla, ginger and dandelion to the carbonated water. Soda fountains became popular in pharmacies, and when Americans began to want their “medicinal” drinks at home, the soft-drink industry was born. Coca-Cola, invented by Atlanta pharmacist John Stith Pemberton, debuted in 1886; Pepsi-Cola arrived in 1893 and fortunes were made. A view of the rear facade of Pleasant View Farm, now Hartdale, at 1221 Lafayette Road when first built in 1895 in Gladwyne. Compare to photo below showing pool in 2017. From King, Moses. Philadelphia and Notable Philadelphians. (New York: Blanchard Press, Isaac H. Blanchard Co., 1901), p. 90. Like so many of his Victorian-era contemporaries, Selden Twitchell wanted a big house in the country. Philadelphia’s Main Line was (and is) the destination for the city’s wealthy elite, easily accessible from the city by train. After Selden Twitchell purchased the Esrey Farm, he spared no expense building a mansion he called “Pleasant View Farm” that would serve as his home until his death in 1917. Twitchell modeled his residence after the 1765 Van Rensselaer Manor House in Albany, N.Y., except the Twitchell home has two-foot-thick stone walls instead of brick construction. The Gladwyne home’s terrific Georgian symmetry, gambrel roof, dormer windows, pedimented entry with half-moon window and portico front entry opening to a central hall are just some of Hartdale’s notable features. In 1927, Mrs. Dale initiated extensive renovations, adding the sunroom, breakfast-family room and wood paneling from a German castle in the formal living room, among other changes. The Van Rensselaer mansion in Albany, N.Y., inspiration for Selden Twitchell. Photo from the Albany Bagel via Albany Institute of History and Art. Today, Hartdale’s 8,500 square feet showcase a very comfortable, sun-filled family residence, perfect for entertaining indoors and out. A mix of elegant interiors and comfortable rooms for everyday living are move-in-ready, plus a pool and spa await for warm-weather fun. See it in person, Sunday, June 10, at a public open house hosted by listing agent Carol Ogelsby. Or schedule a private tour by calling 610.213.2000. Modern comforts and amenities abound at Hartdale, with all the best historical features preserved.